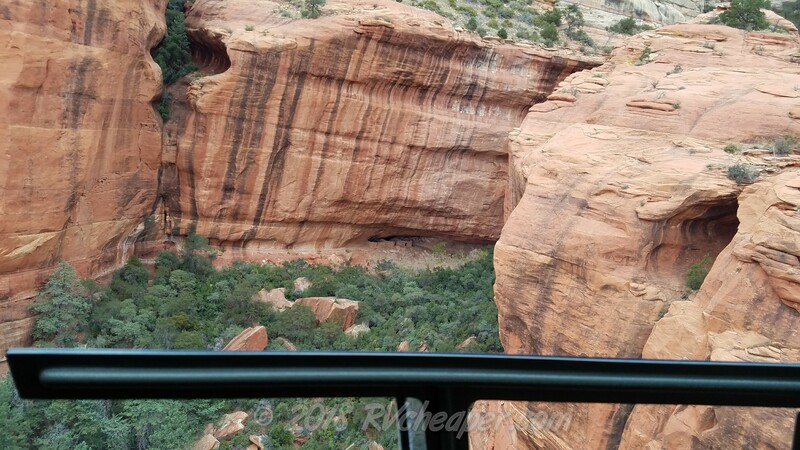 helo there, lets see some more sights… – RV Cheaper! 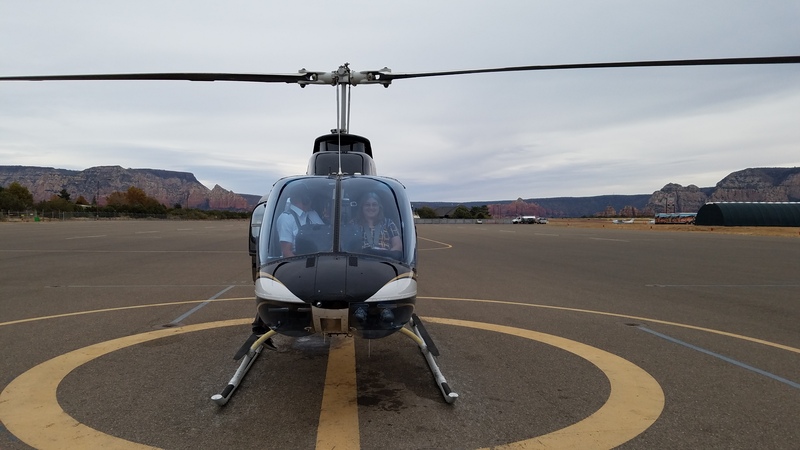 Day two of our Anniversary weekend was a helicopter tour of Sedona and amazingly Alice was up to going up. When we went to Mt. Rushmore I couldn’t talk her into going with the kids, so I’m glad she tried and she actually enjoyed it! 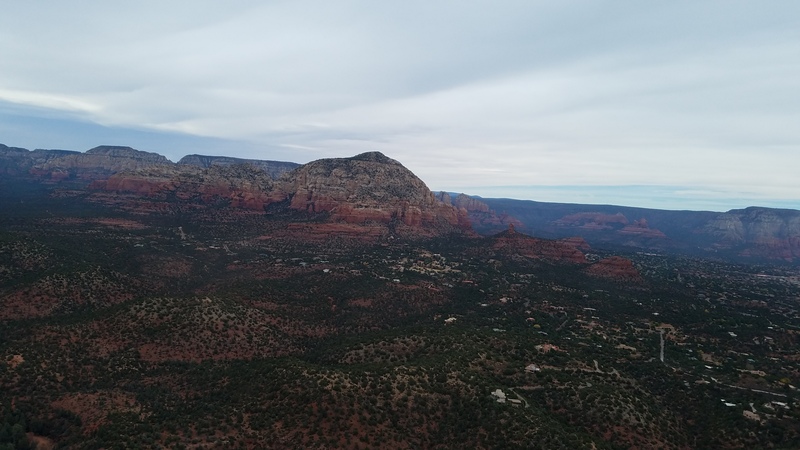 We got to see a view of Red Rock Country I’ve never seen and the pictures below don’t even come close to capturing the beauty of the area. 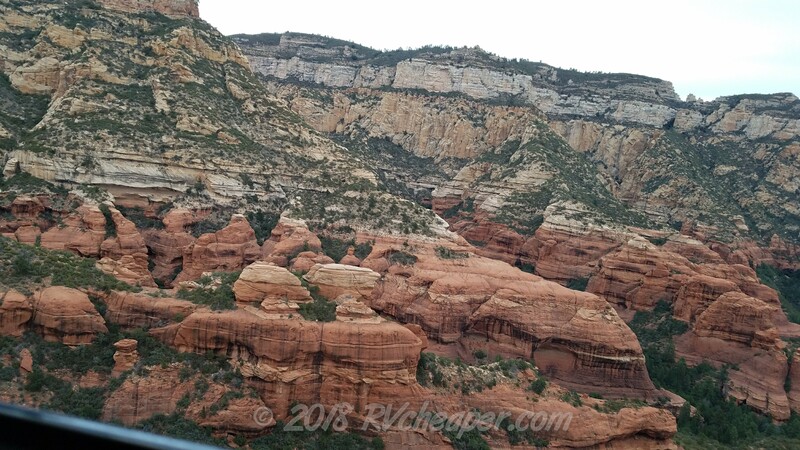 The pilot took us up close to the rocks and not once did I feel like we would be in danger of cross winds pushing us into the canyon walls. The ride was incredible but I should have taken some medication to prevent air sickness since I spent way too much time snapping photos (worse than reading). The cost still makes me cringe but I am so glad we did it in case we never get the chance later after I retire. 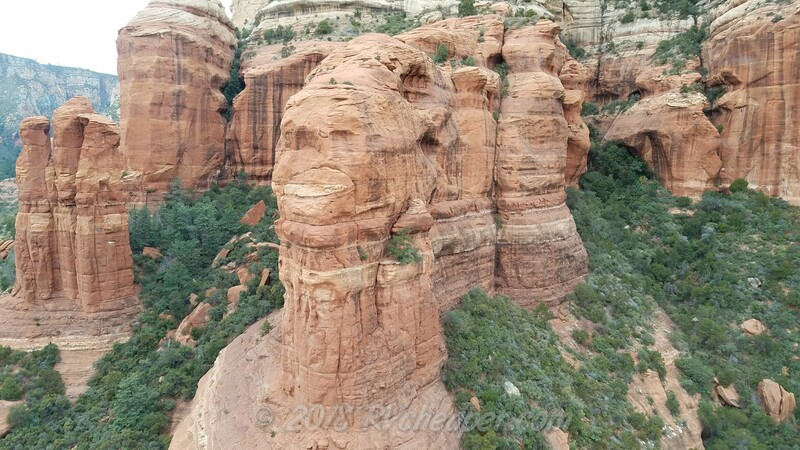 I was expecting a Sedona air tour to be a bit of a let down after Rushmore and Crazy Horse but this ride was no less incredible! The dark lines are dry waterfalls that flow during the monsoon season. 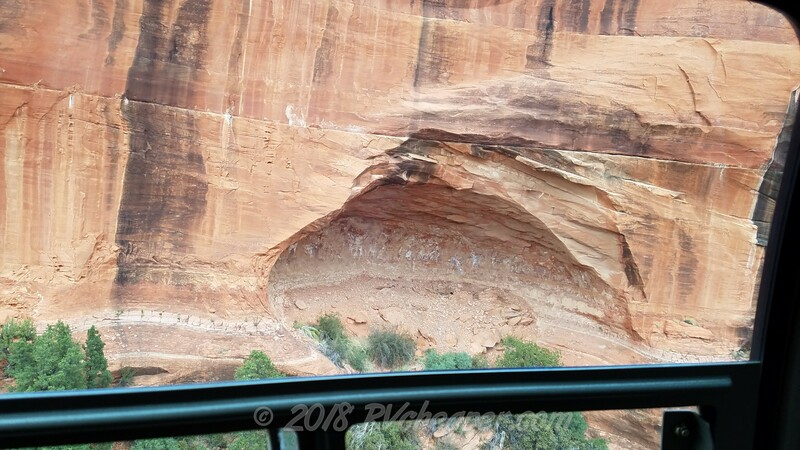 Click on the photo to view full screen and you’ll see the cave house in the center! The color changes in the layers are incredible in person! Hard to see the cave dwellings but it’s like an apartment complex! We definitely got up real close and personal with the cliffs! 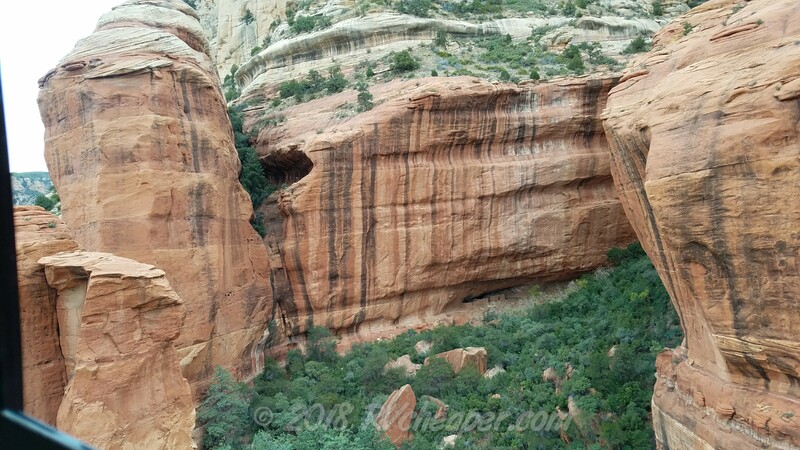 Looking down a canyon west of Oak Creek Canyon, looking toward Sedona. 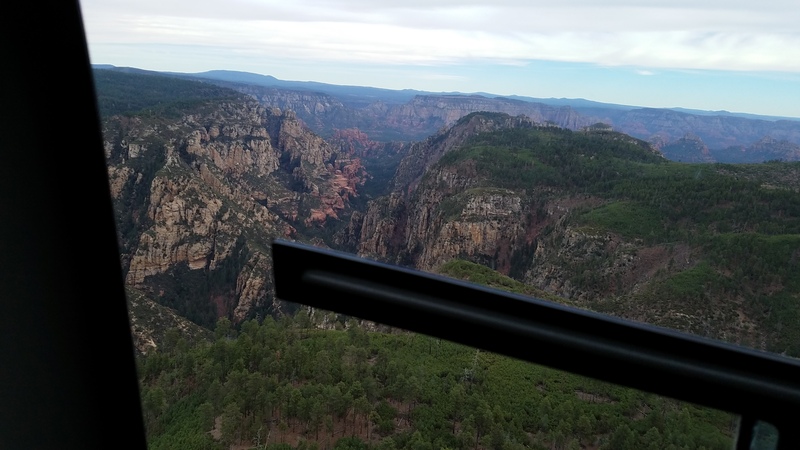 Check out the tall pines below us on the top of the Mogollon Rim, they are 75-125 feet tall to give you an idea of how deep the canyons are! 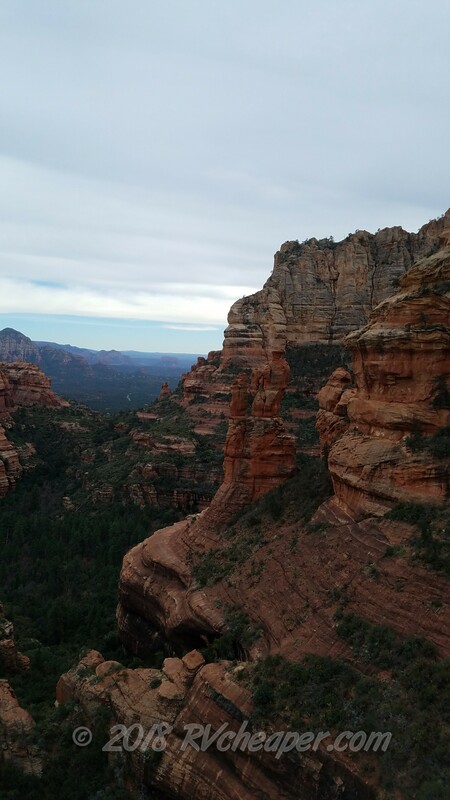 West Sedona, the part that locals call home away from the touristy uptown.